Captain Leonard White piloted the first steamboat to cross the 49th parallel bringing miners and supplies to the goldfields of British Columbia. The population of the Upper Columbia Country exploded when gold was discovered along the banks of the Columbia River and its tributaries in the early 1850s. The first gold boom, the Colville Gold Strike, drew prospective miners from all over the country, swelling the population of the region with the influx over 1000 miners to Fort Colville by 1855. Unfortunately for the miners, the production of the mines was short-lived and every couple years the miners were forced to head further north toward the goldfields of British Columbia. In order to help the eager gold-seekers reach the new mining locations, Captain Leonard White built a 219-ton sternwheeler steamship to transport miners and supplies upriver. White was a pioneering river navigator considered to be one of the most accomplished "swift-water steamboatman" in the Pacific Northwest. He piloted steamships on the Sacramento River, Willamette River, Snake River, and Lower Columbia River before arriving in the Upper Columbia. On November 18, 1865, with 75 passengers on board, White’s steamship Forty-Nine departed from Marcus, Washington on its first trip north. On her inaugural journey, Captain White and the 114 foot long, 20 foot wide Forty-Nine traveled further north than any previous steamship, making it all the way to the Narrows of the Arrow Lakes near present day Nakusp, British Columbia. The Forty-Nine was forced to drop its passengers and turn around before its planned destination due to the growing winter ice. The steamship made multiple journeys the following year, some further north than Revelstoke, British Columbia, but by 1868 gold production had slowed and miners began to leave the area. Demand for transportation on the Forty-Nine dwindled, forcing Captain White to park his steamship while he and his crew worked the gold mines themselves. Nonetheless, the steamship, with White at the helm, continued to operate on a less frequent basis when demand was sufficient. In 1869, Captain White stepped down and First Mate A. F. Pingston took over. Soon after, the new captain ran the Forty-Nine aground just south of Downie Creek, British Columbia. The steamship was pulled from the water and continued its work as a transport vessel until 1879 when the mechanical components were salvaged and the hull was left to rot and rust away near the Marcus townsite. Much like gold fever in the Upper Columbia, the Forty-Nine had a short life. 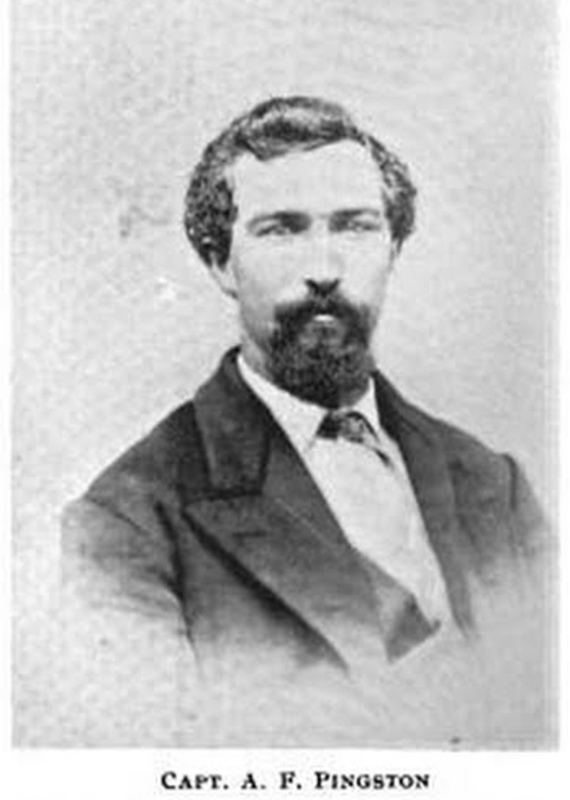 Captain of the Forty-Nine, Leonard White: Leonard White was one of the most accomplished steamboat captains in the Pacific Northwest. He achieved many firsts in river navigation, including being the first to pilot a steamship across the 49th parallel. ~ Source: Image Courtesy of Lewis & Dryden's Marine History of the Pacific Northwest. 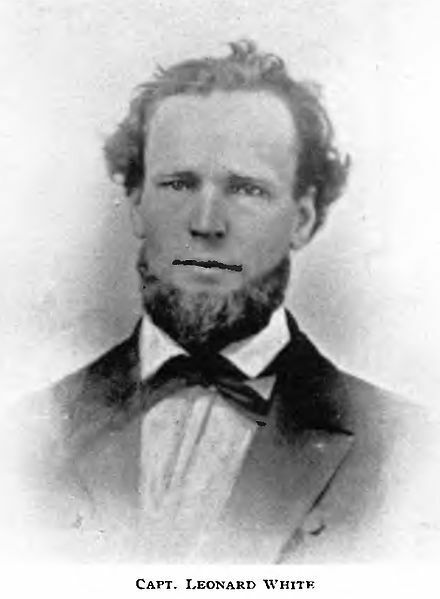 First Mate and Captain of the Forty-Nine, Albert Pingston: Albert Pingston was an immigrant from England who homesteaded near Marcus, Washington. Pingston served as First Mate on the Forty-Nine until Captain Leonard White stepped down. Pingston then took over as captain in the final years of the ships opperation. He was at the helm when the ship ran aground. ~ Source: Image Courtesy of Lewis & Dryden's Marine History of the Pacific Northwest. 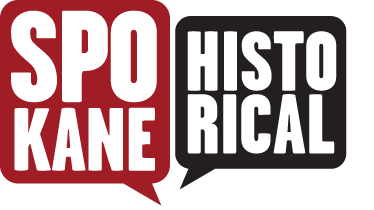 Logan Camporeale, “The Steamboat Forty-Nine,” Spokane Historical, accessed April 24, 2019, https://spokanehistorical.org/items/show/728. Laura McCullough, "Final Report on Historic Marcus, Washington, Lake Roosevelt National Recreation Area," National Park Service, 2013. E. W. Wright, Lewis & Dryden's Marine History of the Pacific Northwest: An Illustrated Review of the Growth and Development of the Maritime Industry, from the Advent of the Earliest Navigators to the Present Time, with Sketches and Portraits of a Number of Well Known Marine Men, Lewis & Dryden Printing Company, 1895. David Lewis, "Capt. Leonard White (1827-1870)," The Oregon Encyclopedia, 2017. Caroline C. Leighton, Life at Puget Sound, with sketches of travel in Washington territory, British Columbia, Oregon, and California, 1865-1881, Lee and Shepard Publishers, 1884.